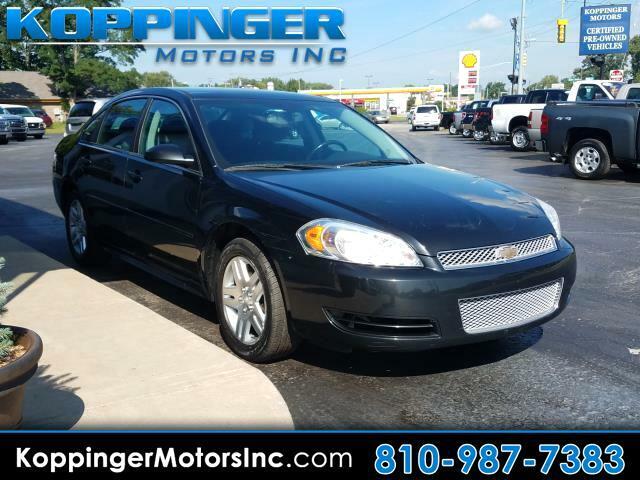 Used 2012 Chevrolet Impala 4dr Sdn LT Retail for Sale in Fort Gratiot MI 48059 Koppinger Motors Inc.
With the many models available, this stylish 2012 Chevrolet Impala will prove to be a model that you will be glad you checked out. This Impala has 68645 miles, and it has plenty more to go with you behind the wheel. You may be pleasantly surprised by the many features of this Impala such as: power seats,power windows,power locks,blue tooth and mp3 audio input We work our hardest to give you an outstanding experience and ensure you're always completely satisfied with every aspect of our services. Come test drive this vehicle today.